In a study published yesterday, a team of researchers from the Sanford-Burnham Medical Research Institute and Johns Hopkins University describe how they created a new model for studying the Arrhythmogenic right ventricular dysplasia (ARVD) heart disease, by using induced pluripotent stem cells (iPSCs). According to the researchers, their model surpasses the existing ones, being way more suitable for both studying the condition and investigating new drugs and therapies. As of today research on ARVD is very tricky and problematic. This is mainly due to the fact that the condition remains largely asymptomatic until the age of 20s-30s. As a results scientists haven't made much progress in terms of understanding and treating the condition. 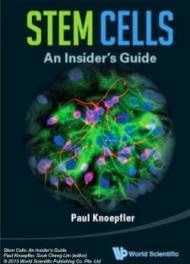 One of the main applications of iPSCs is using them as a role model for various conditions and diseases. However the somatic cells derived from iPSCs tend to be immature. As a result a method is needed to somehow mature them in order to study diseases like ARVD that manifest later in life. In this study the researchers describe one such method for maturing iPSCs derived heart cells. But let's take things from the start. The researchers first took skin samples from human ARVD patients and used Shinya Yamanaka's techique* to create induced pluripotent stem cells from them. They then differentiated these cells into heart cells. 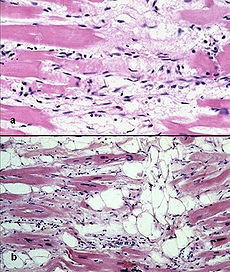 Although these cells did carry the mutated genes they didn't exhibit any signs of the condition as they were immature. For almost a year, the scientists tried, with no success, various methods to mature them in order to emulate the cells of an adult patient. Eventually and after a lot of trial and error they concluded that adult heart cells of ARVD patients mainly use fat for energy whereas embryonic/juvenile heart cells prefer sugar (glucose). They also discovered that the abnormal over-activation of the PPAR protein plays a significant role in the condition. By combining these two findings they managed to create a model that replicates the condition in adults. With further experimentation they were also able to describe potential drug targets for the disease. The research was funded by the California Institute for Regenerative Medicine which also recently awarded them with a new fund to help them create more iPSC models for ARVD. The team's ultimate goal is to start preclinical trials on ARVD. Photomicrograph of an ARVD heart.